Social networking has achieved a level of popularity that requires reasonable access at work, but it is also sufficiently mature to bring value to many businesses. 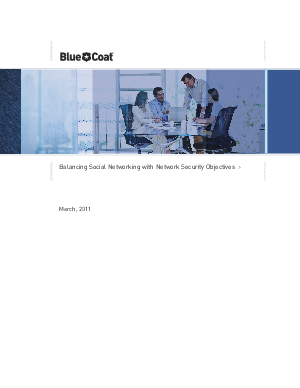 But safe social networking requires an aggressive and layered security strategy at the web gateway, as well as the definition of new usage policies and priorities from management and IT. Better end-user education will also be required to ensure workers use social networking applications safely and appropriately. The combination of layered security and education can help organizations dramatically reduce the risks from malware, phishing, data loss and bandwidth abuse.